The HALO® SwaddleSure™ adjustable swaddling pouch is the safe, easy and secure way to keep your baby sleeping longer and more peacefully. 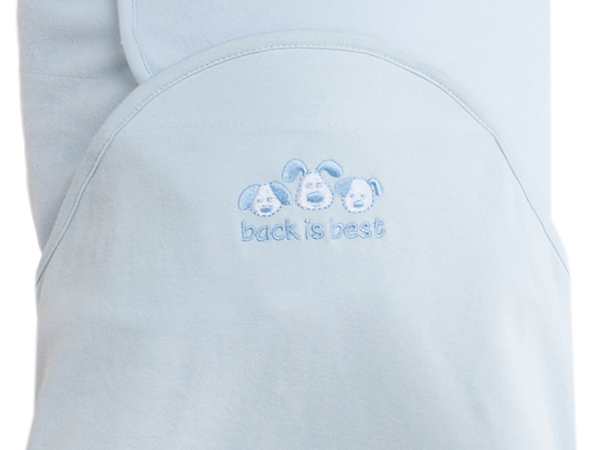 Its patented three-point fastening system resists 'breakouts' for superior, more secure swaddling. The roomy leg pouch helps baby’s hips stay in the correct, frog-like position which ensures healthy hip development and allows easy access to baby’s diaper for diaper changes. See why it's the safe, easy and secure way to swaddle. Diaper changes are easy and there is no need to unswaddle your baby. Generous wings and fasteners offer maximum adjustability for a perfect, snug fit. Plus, soft fastener strips reduce likelihood of scratching or skin irritation. 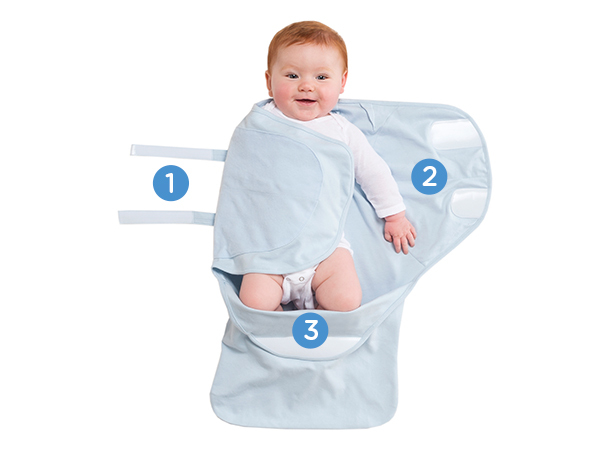 The roomy leg pouch helps baby’s hips stay in the correct, frog-like position which ensures healthy hip development. 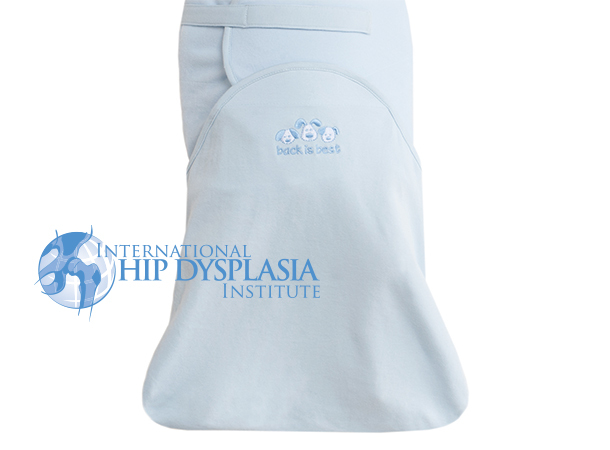 Approved by the International Hip Dysplasia Institute as "hip healthy". Align baby’s shoulders with the top of the swaddle wings. Tuck legs in pouch. Wrap left wing snugly over baby’s torso and behind baby’s shoulder. Wrap right wing over and secure to fastener fabric. Wings should be snug, aligned with baby’s shoulders and below chin. Attach fastener strips to top of swaddle wings for a secure swaddle. Bring front edge of pouch up and attach securely to front of swaddle. Always put babies to sleep on their backs. 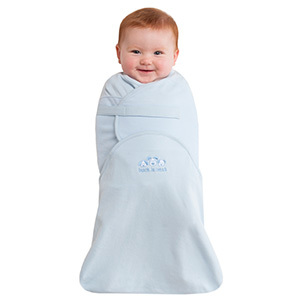 I'm a huge fan of the HALO SwaddleSure Adjustable Swaddling Pouch. 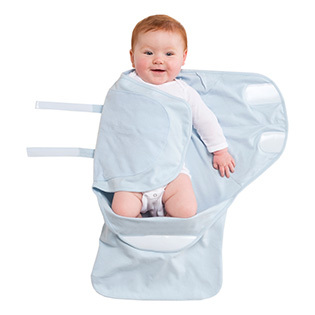 It fits babies perfectly and easily adjusts to growing babies. 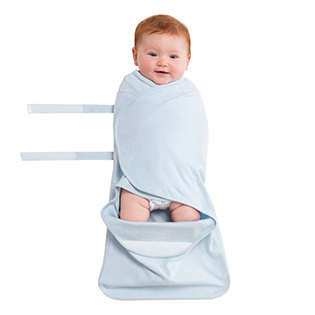 The HALO SwaddleSure is great for those little Houdini babies who always seem to break free and constantly wake themselves up. Its roomy design gives them plenty of space to move around and without feeling completely restricted. Another genius feature is its easy diaper access. 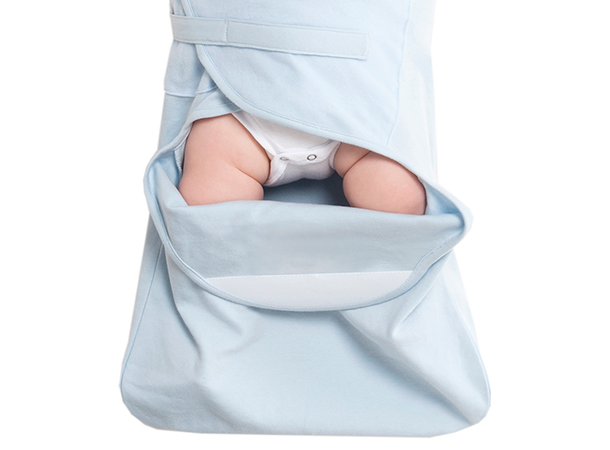 The lower half of the pouch opens up so you don't have to unwrap your sleeping baby at all! I really love how easy the HALO SwaddleSure is to use on my son. You can tell he really does enjoy being put into the SwaddleSure and quickly falls asleep shortly thereafter. It keeps him warm and comfortable…as snug as a bug in a rug! Finally, the SwaddleSure washes and dries like a dream. Matter of fact, the more I launder it, the softer it gets! 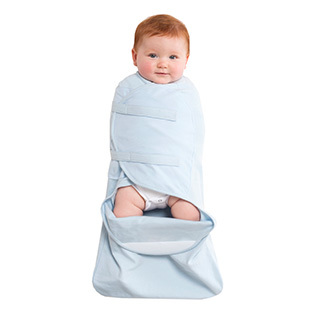 HALO SwaddleSure to the rescue! These wearable blankets are perfect for my little escape artist. They resist “breakouts” and he is secure and snug. Plus, easy access for diaper changes while in a sleep/zombie state. (Repeat, I am beginning to understand the “Mombie” joke. #TheStruggleisREAL.) 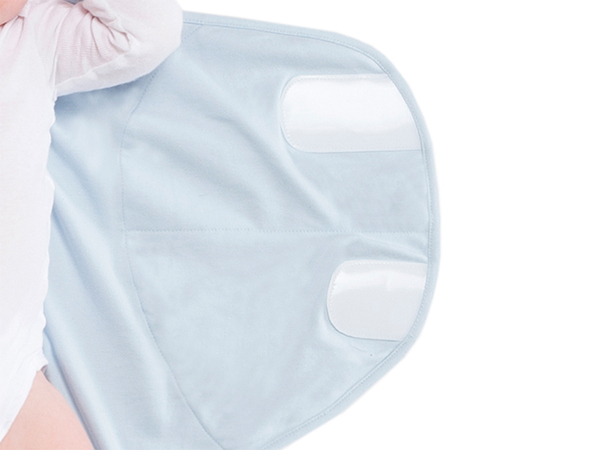 With the HALO SwaddleSure, you win. After all the health benefits, you get what you pay for and more. Sweet dreams, little man. My baby girl was a swaddle escapee expert, but she could not escape this one. She kicked her legs and wiggled, but then settled in and got comfy for bedtime every time we used this.